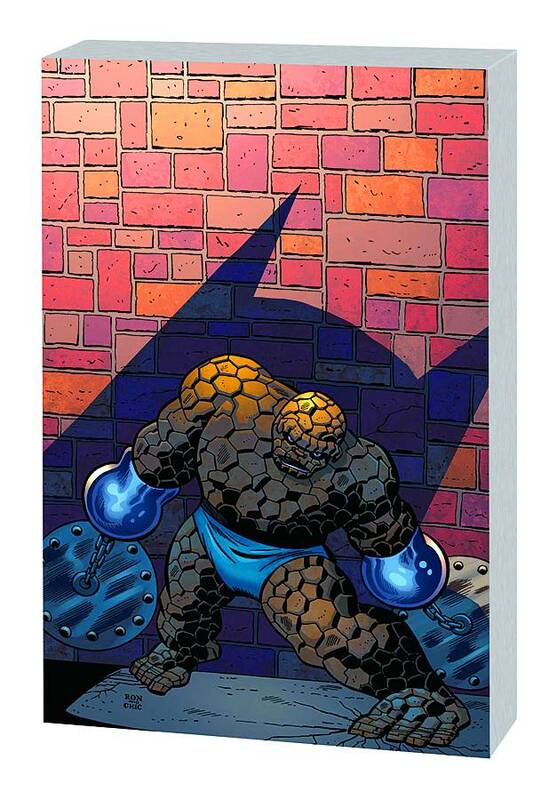 BEN GRIMM - THE EVER-LOVIN', BLUE-EYED THING - IS BACK AND BETTER THAN EVER IN THE FANTASTIC FINAL VOLUME OF ESSENTIAL MARVEL TWO-IN-ONE! THRILL TO SOME OF THE IDOL OF MILLIONS' WILDEST EXPLOITS EVER AS HE JOURNEYS AROUND THE GLOBE AND BEYOND! FROM THE SANDS OF ANCIENT EGYPT TO THE CANADIAN WILDERNESS, JOIN BEN AND HIS PALS FOR MICRO-WORLD MELEES TO CHAMPIONSHIP COSMIC BOUTS - AND EVERYTHING IN BETWEEN. GUEST-STARRING SPIDER-MAN, ALPHA FLIGHT, THE SANDMAN, THOR AND MORE! COLLECTING MARVEL TWO-IN.